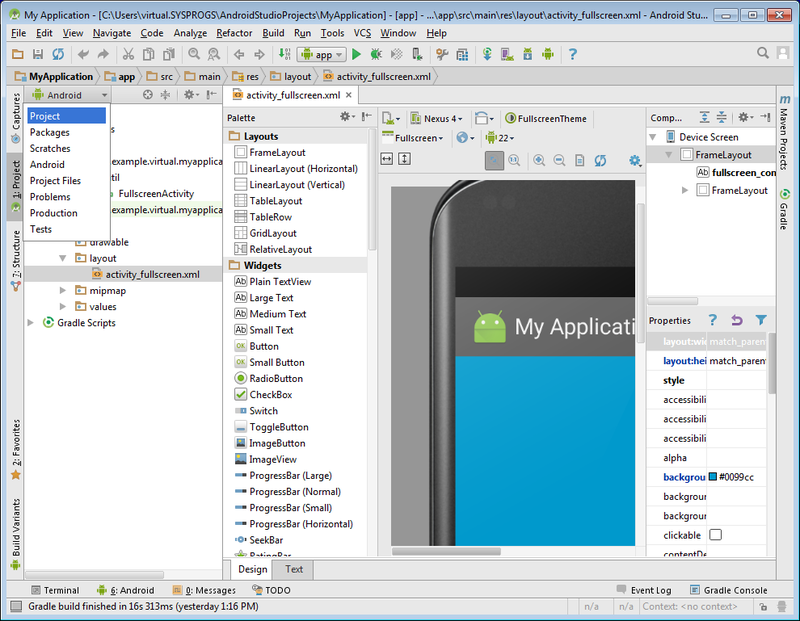 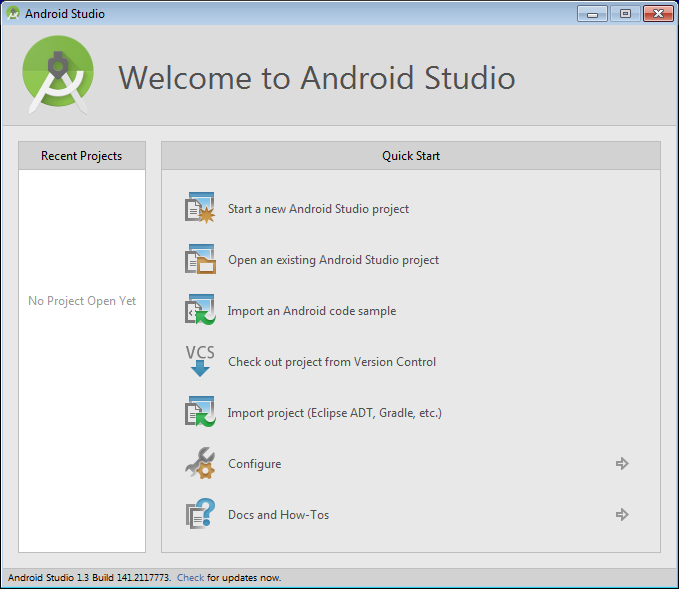 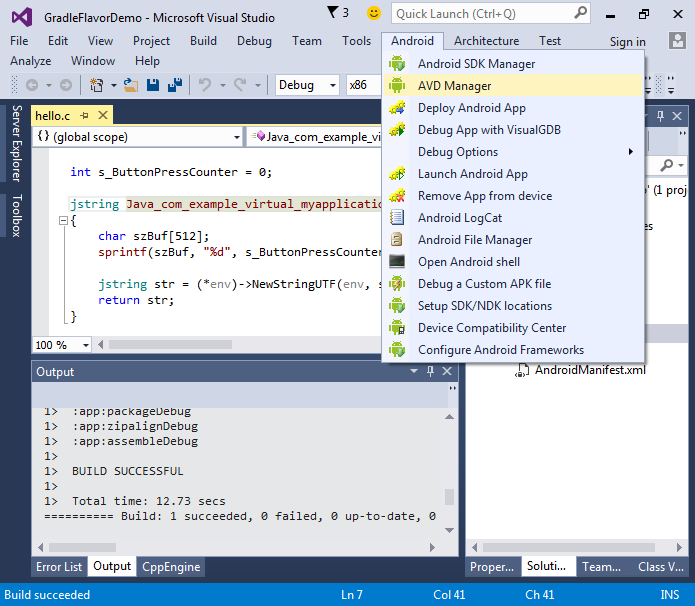 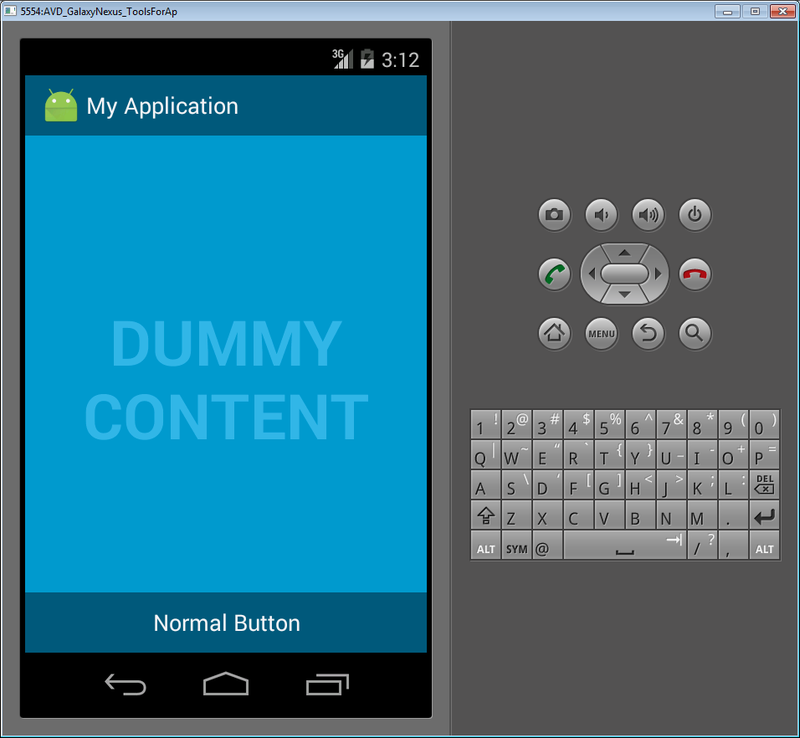 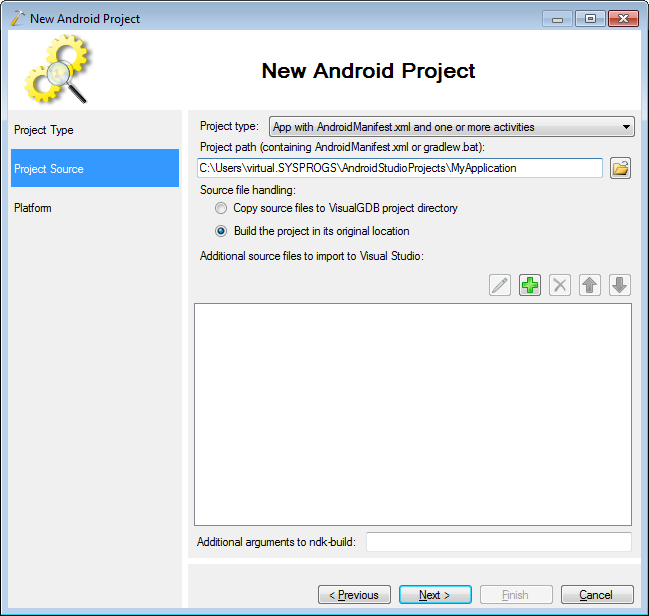 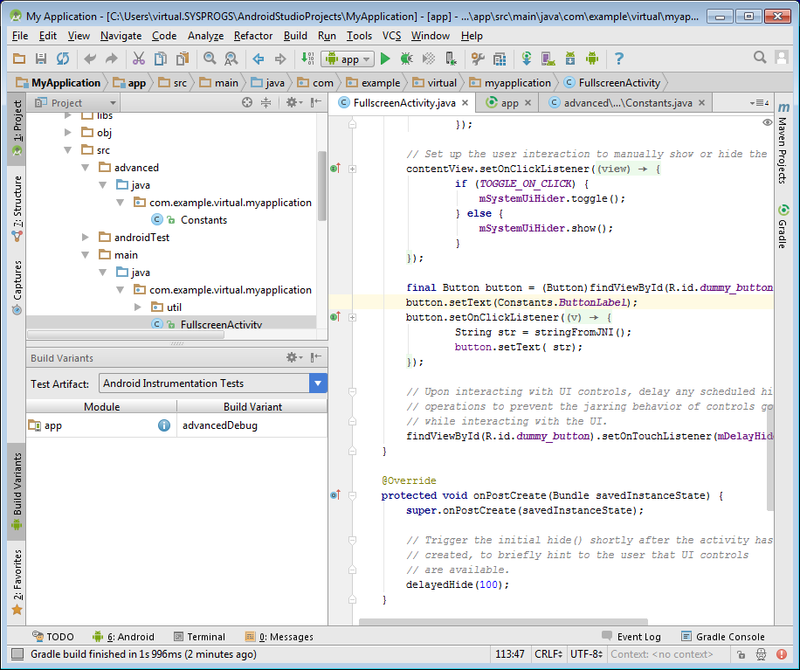 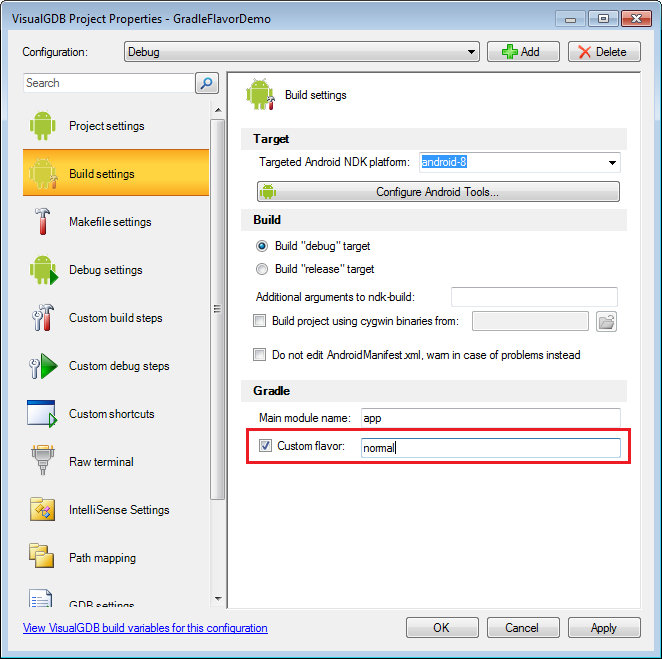 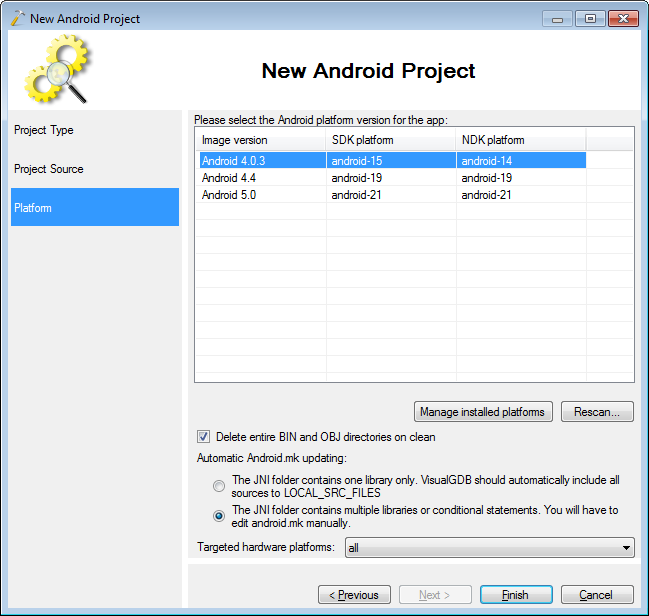 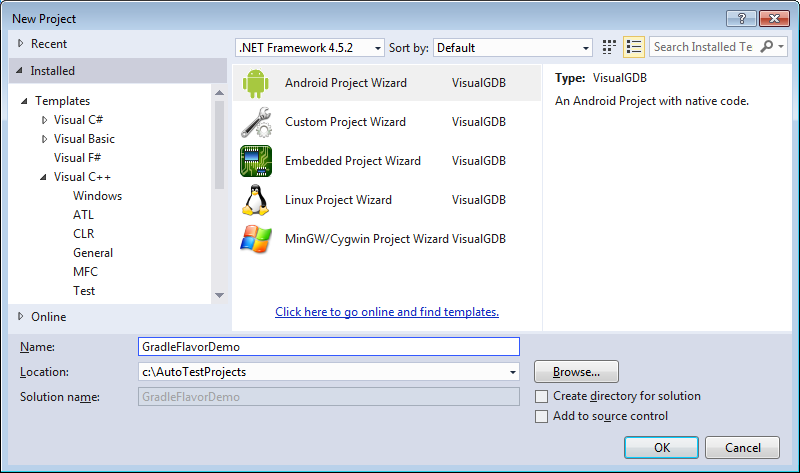 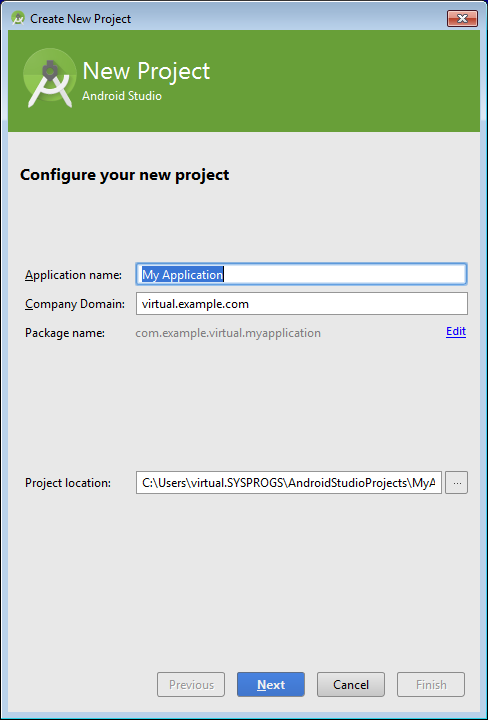 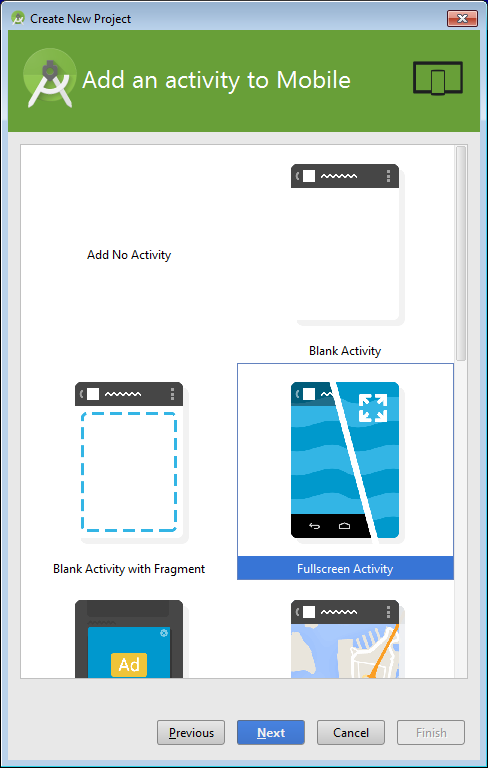 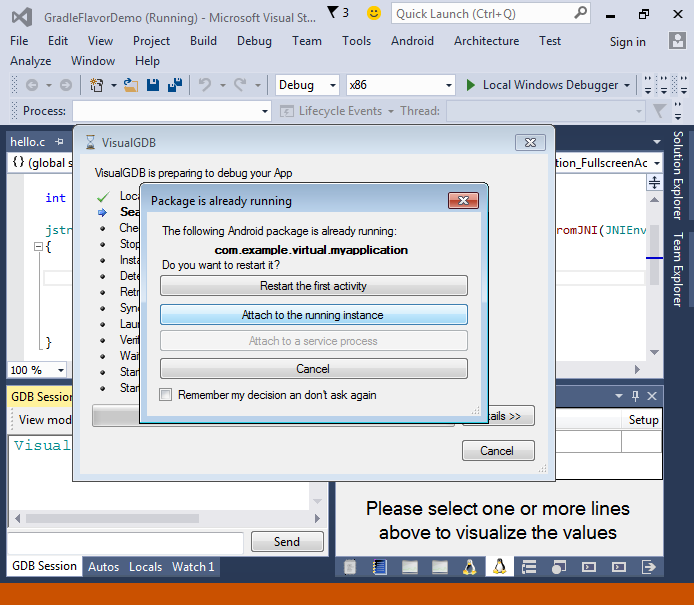 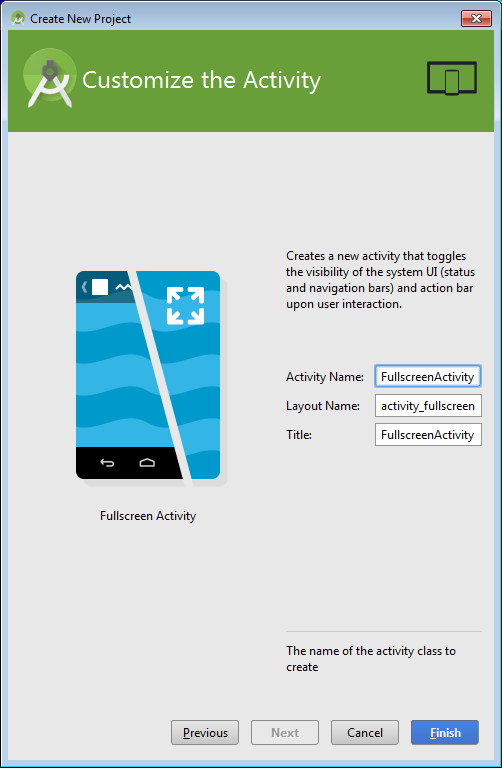 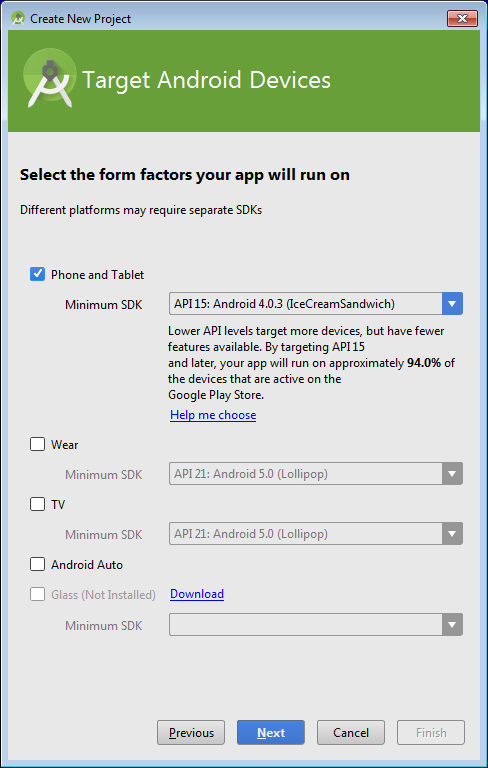 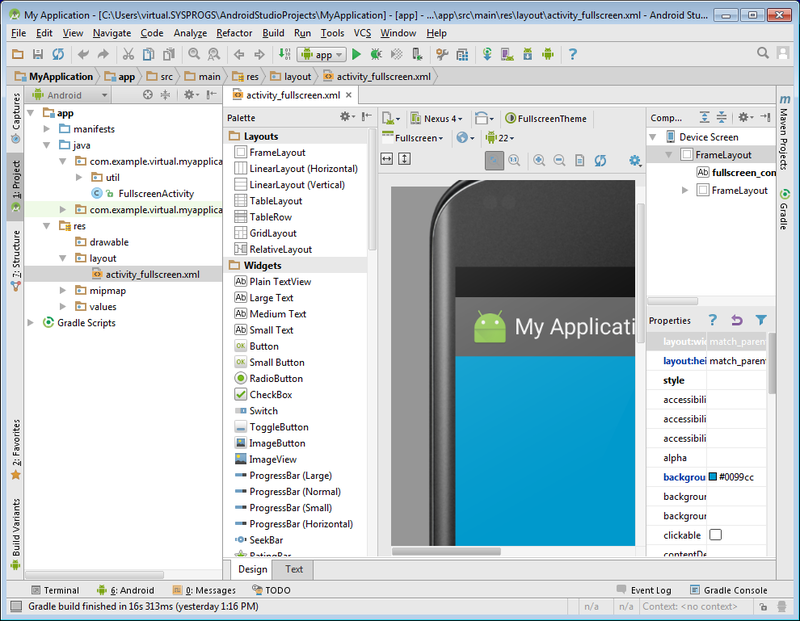 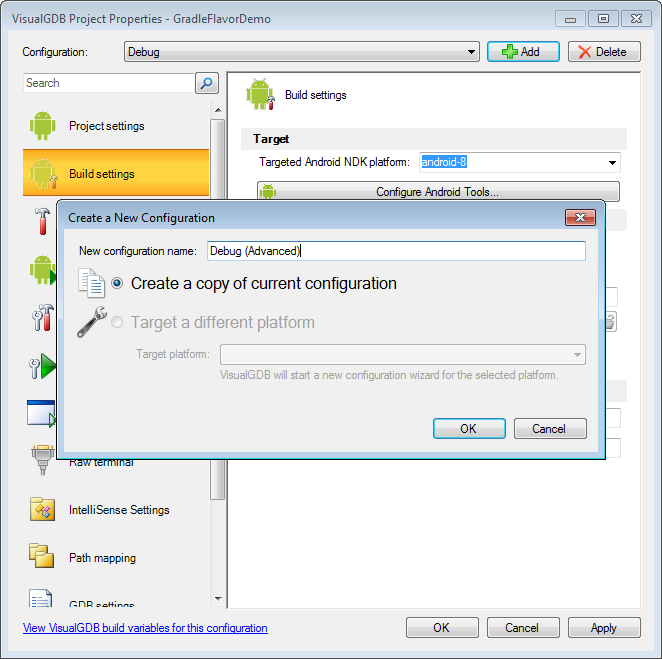 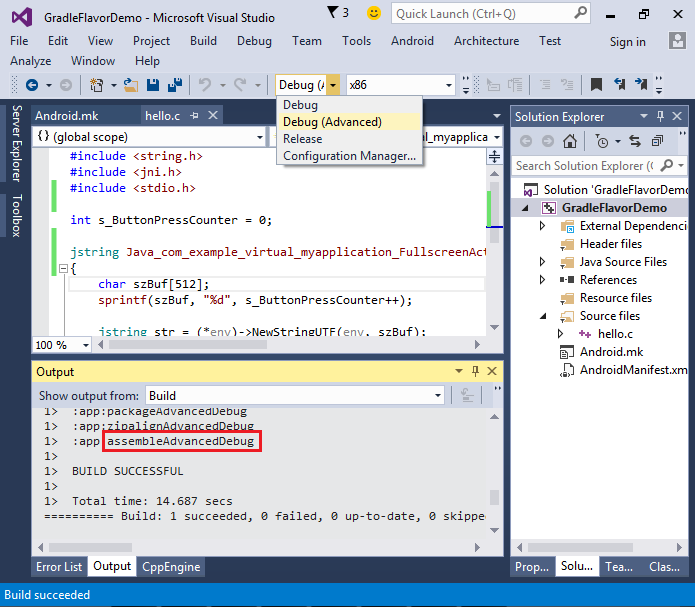 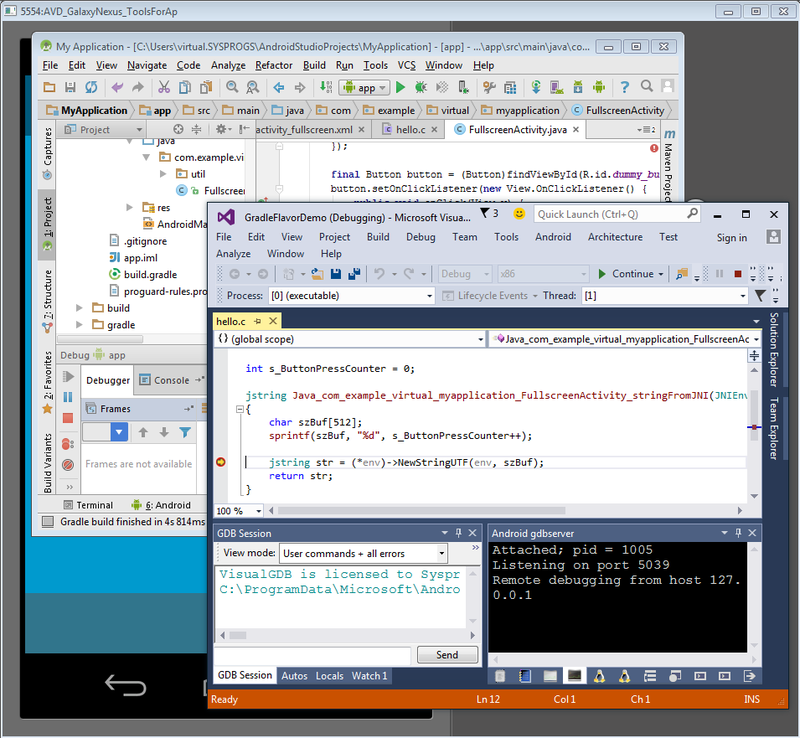 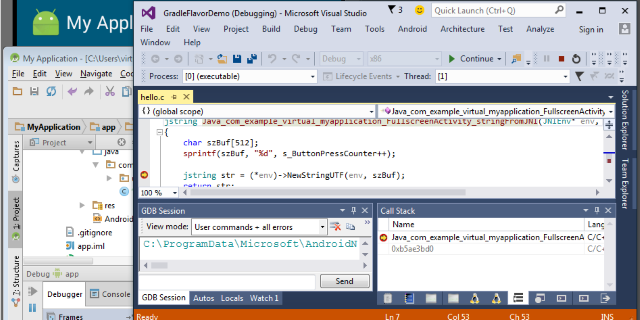 This tutorial shows how to develop C/C++ code in an Android Studio project using Visual Studio and VisualGDB. 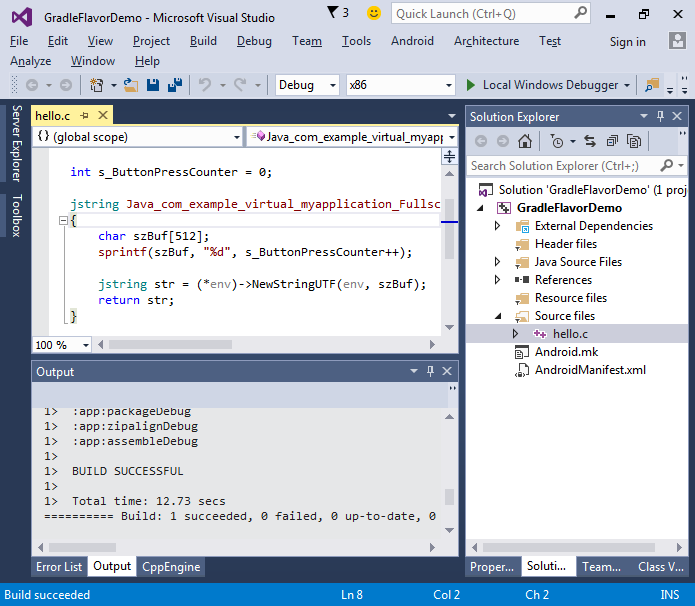 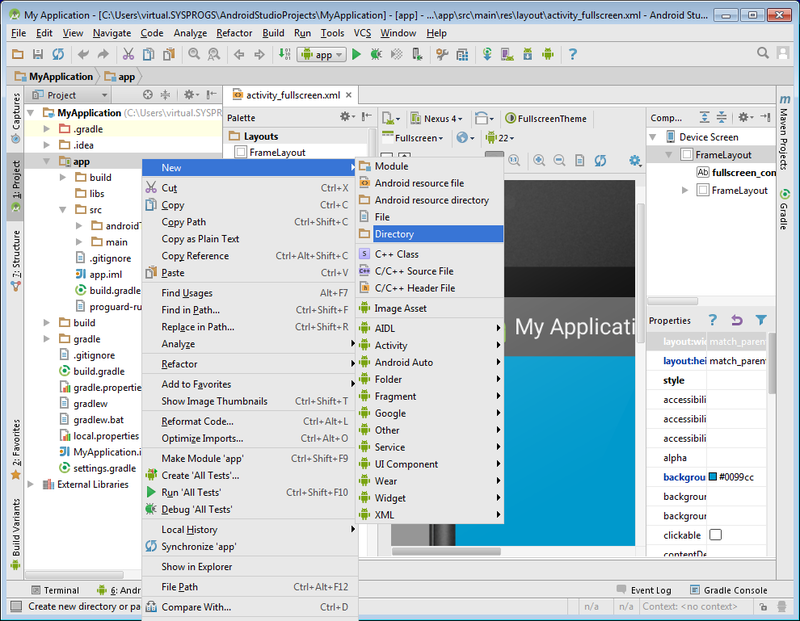 We will show how to use the Gradle flavors and translate them into Visual Studio configurations for better usability. 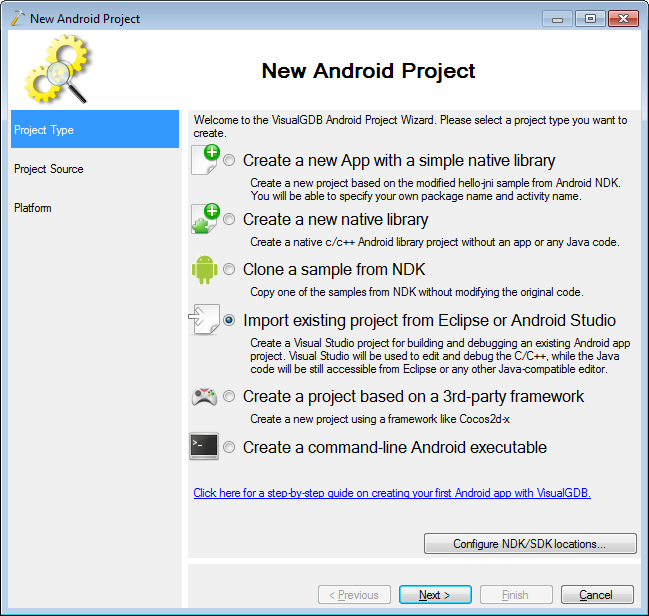 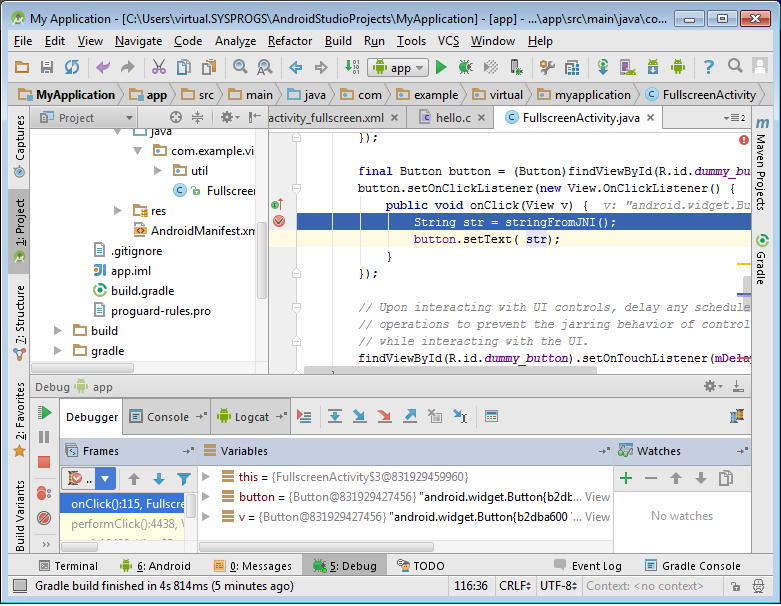 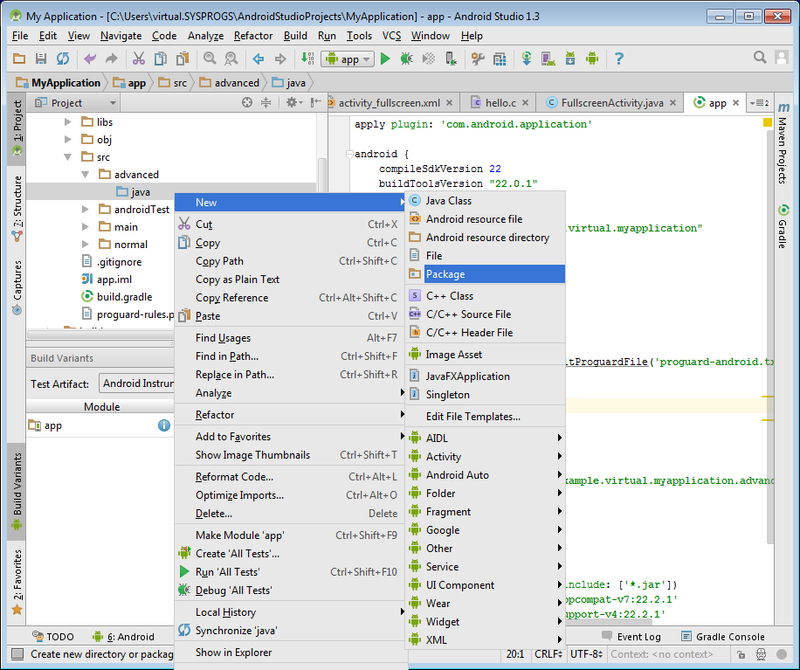 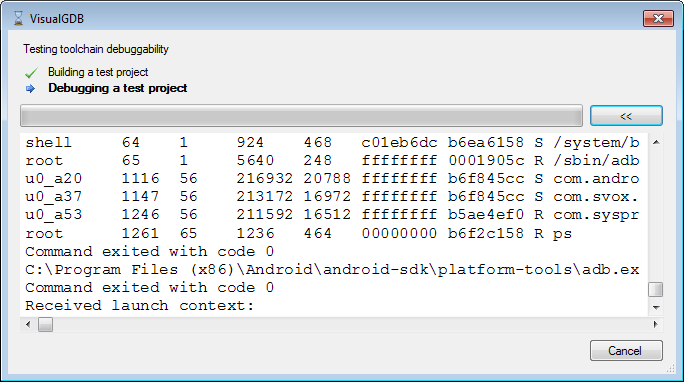 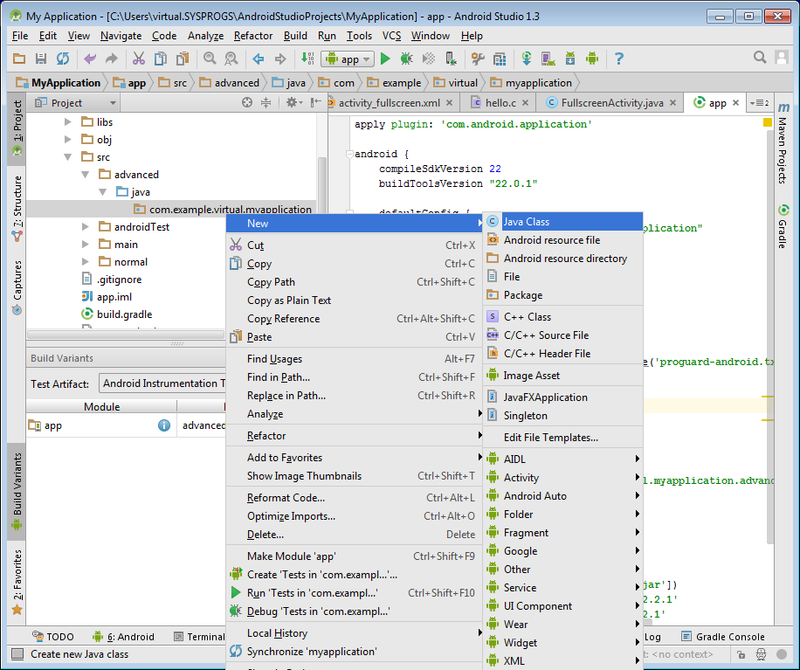 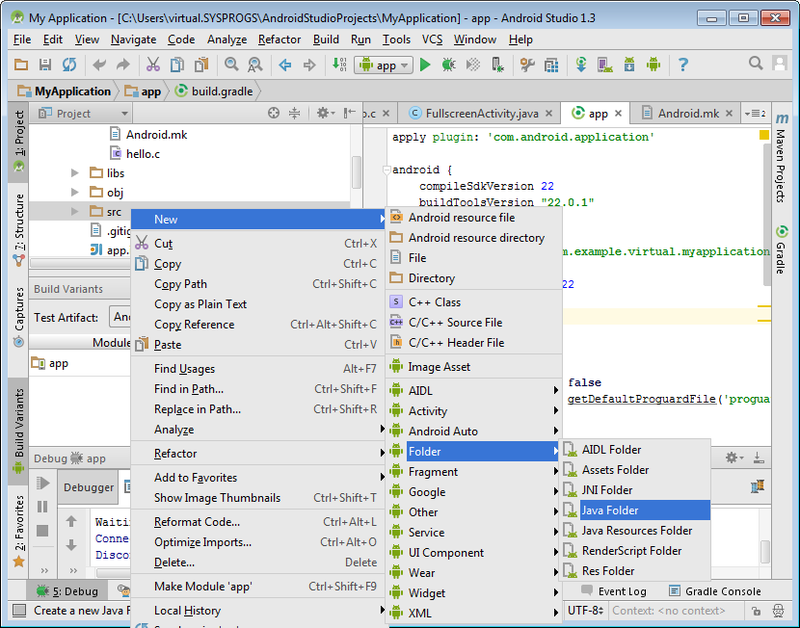 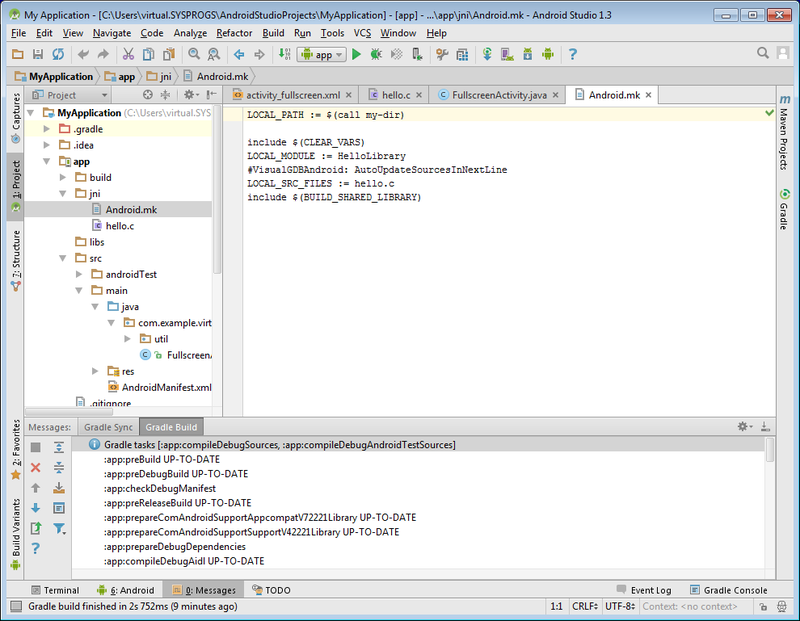 Before you begin, install VisualGDB 5.0 or later and Android Studio 1.3 or later. 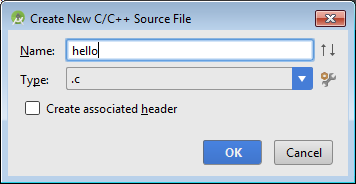 Note that if your activity is named differently, the function will need to be renamed accordingly.